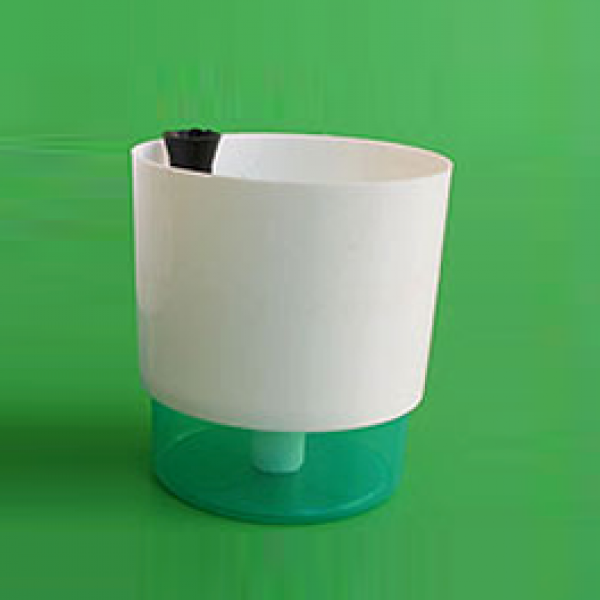 Fit the black water tube into its connector and then place the plant into the pot and plant as usual - use of a soil-less media is highly recommended for all self-watering plots. 3-4 watering. If the water comes out discolored, discard and clean reservoir cup. Subsequently, start watering through the water tubes. This way only clean fresh water will collect in the transparent reservoir cup. Fertilizers can be also added to the water in the reservoirs cup.